Bring your friends along because The Island Club can accommodate your large families and groups. 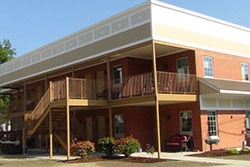 There are 72 rental homes in a nice private community that can each sleep 8-14 people. The 3 and 4 bedroom units each have two bathrooms, and are fully furnished. Outdoor decks with grills can accommodate the grill meisters, and each unit has a fully equipped kitchen with dishes, pots, pans and all the necessary kitchen toys that will get things cooking inside. The spacious living room is equipped with satellite television and HBO. The rental homes are available for weekend, weekly, or individual midweek days; fully suiting all of your needs. To take a 3-D RoboTour of the homes, be sure to check out our website. In 2008, we saw the arrival of a new swimming pool at the Island Club at Put in Bay. The new pool turned out to be a tremendous hit! There is abundant area to lay out on the pool deck and catch some rays or hop in the cool refreshing water to cool yourself off in the pool. Don't miss out on our great Midweek specials (call for details). From Sunday to Thursday, midweek, you can find some of the best home rental deals that Put in Bay has to offer. The Commodore was recently remodeled for our guests' continued luxury comforts. The new rooms include: King Jacuzzi Suites, eight-person suites, and the traditional two double beds. In addition, there are handicapped rooms available. All of the rooms in the new building are equipped with high speed internet, microwaves, refrigerators, and the majority of the rooms have a view overlooking the famous MIST pool area and tiki bar. The newly rebuilt hotel also includes a Subway restaraunt, which will offer fresh brewed coffee daily. We also have a conference room and catering for larger groups of up to 100 people for business meetings, banquets, weddings, and so on. Right behind the old Skyway Restaurant Lounge is the Put in Bay Condos. 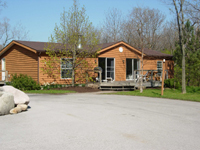 These condominiums are one of the few located right on Lake Erie. There is over 500 feet of lakefront providing spectacular views of the mainland and the outlying islands. 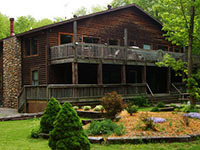 Guests also can have a picnic, grill out, or play a game of volleyball on over 3 acres. Amenities include a swimming pool right in front of beatiful Lake Erie. Each unit has two bedrooms and two baths, and provide spacious accomodations for you and your guests. There is an abundance of space to relax and enjoy your vaction on Putinbay. 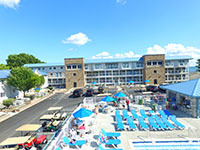 So be sure to check out the offerings at the Put in Bay Condos for the reasonable vaction rentals. These units are ideal for the traveler on a budget. The Fitzgerald family welcomes you to stay at Victory Station Hotel, in the very heart of downtown. Built in 2013, the Victory Station Hotel is the newest and most modern hotel offering on the island, while maintaining the most Victorian and olde-world feel of any lodging available. Guests will be taken back to Put-in-Bay�s early days when they enter their room and feel the ambiance emitted from the classic furniture and decor. At the same time, all the conveniences of home are available including a flat-screen TV for catching the news or the big game. Across the street from the Island Club, A Place at the Bay is a private retreat for up to 12 guests. This home has 4 bedrooms and 2 full baths. One bathroom contains a whirpool garden tub for ultimate relaxation. The advantages of renting a home on Put in Bay include increased privacy and enjoyment for your guests. The wooded setting is ideal for enjoying grilling out with family and friends without the interruption of other guests. South Bass Island State Park is just a short half mile away which has a rocky beach and dock. Also, there are watercrafts available for rental here. Guests at A Place At The Bay also have access to the Island Club pool located across the street. This pool has a large deck for sun bathing, and a pool area to beat the heat. This home is located near both the Miller Ferry Dock and the Jet Express. Peace and Quiet is located on Mitchell Rd., a short drive to downtown Put-in-Bay. There are two efficiency rentals that can sleep up to 6 people. These units can be rented together, or separately. 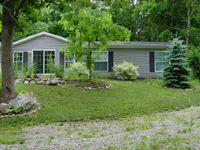 Amenities include central air conditioning, televison, washer & dryer, and a large deck out front. These units also include linens for your convenience. This rental is ideal for those who wish to enjoy the natural beauty of Put in Bay, while remaining less than a mile from all of the action. Peace and Quiet truly has the best of both worlds. Have a fire underneath an abundance of stars, or just enjoy the tranquility of this peaceful PIB vacation rental.